We hold monthly wine tasting events in association with l’Art du Vin that take you on a journey from Bordeaux to Sancerre and beyond. In March, we will be exploring amazing wines from Burgundy, a region in the east of France. Discover the magic of wine at our new home on West Parliament Square. 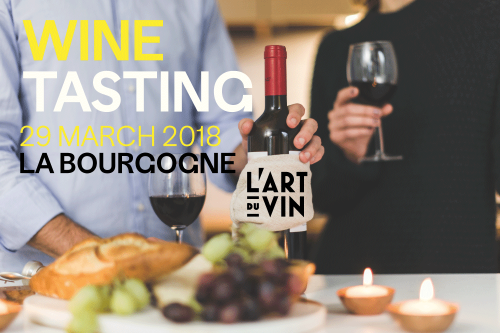 The event will consist of tasting different wines from the region presented by Richard Bouglet, director of L’art du Vin, accompanied by some scrumptious nibbles prepared by our chef Yohann.